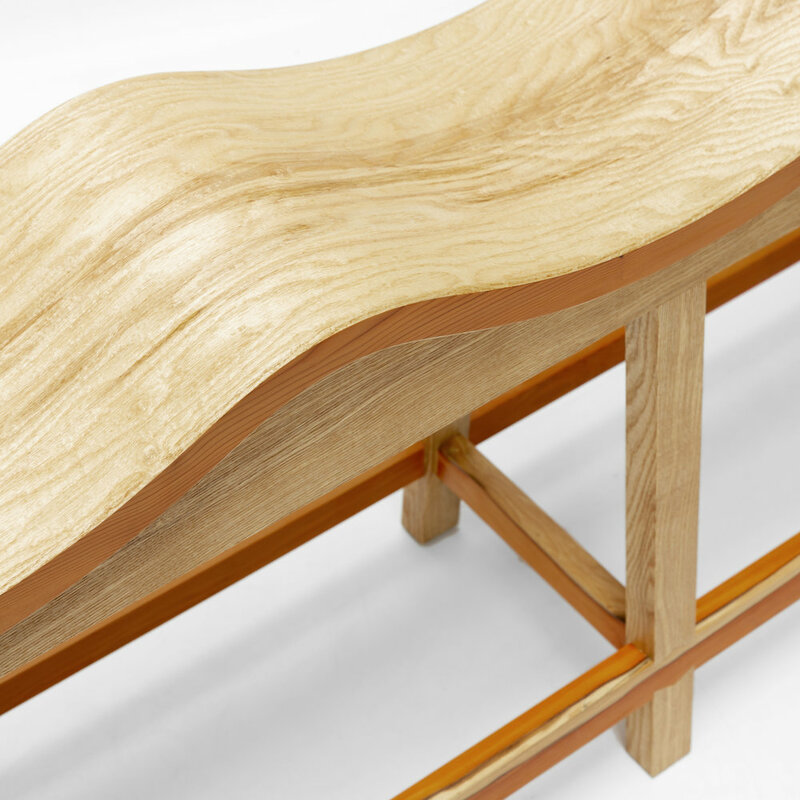 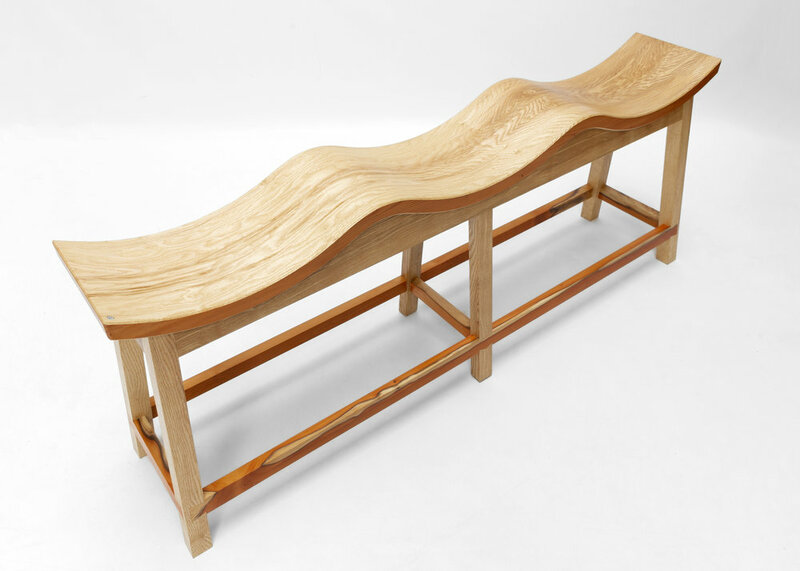 Created in ash with timber from the Tregothnan estate in Cornwall and yew from up-country, this immensley practical bench is a pleasure to use. 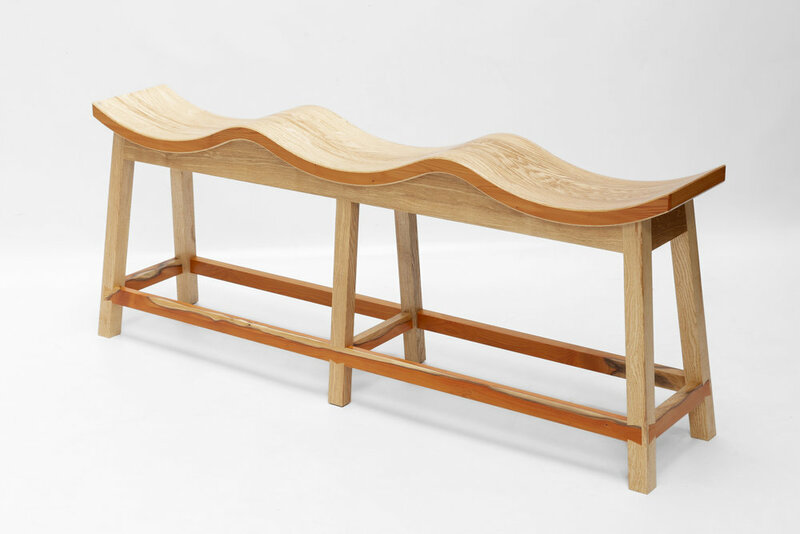 Other timber finishes are of course available (see Mylor stool). 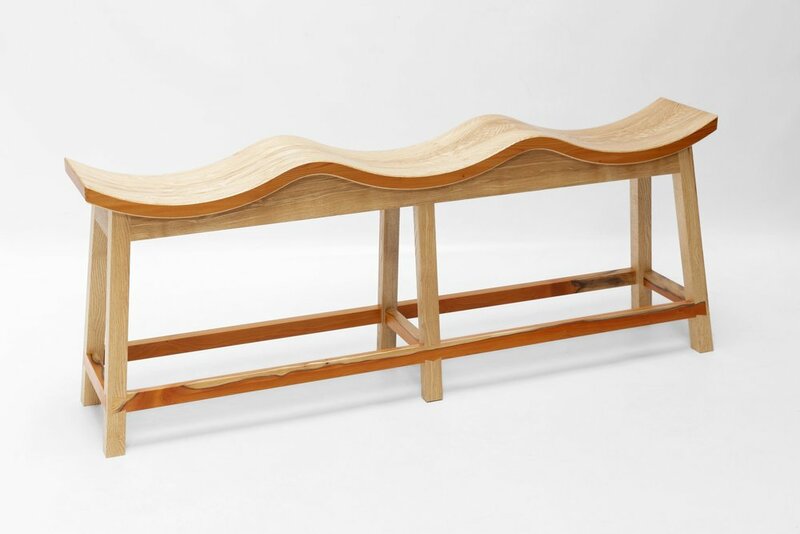 This particular bench in the photo is now residing in Warwickshire.